NCsoft Corp., a South Korean online gamemaker, unveiled the mobile version of its mega-hit "Lineage," "Lineage M," on Tuesday, with the official launch date set for next month. 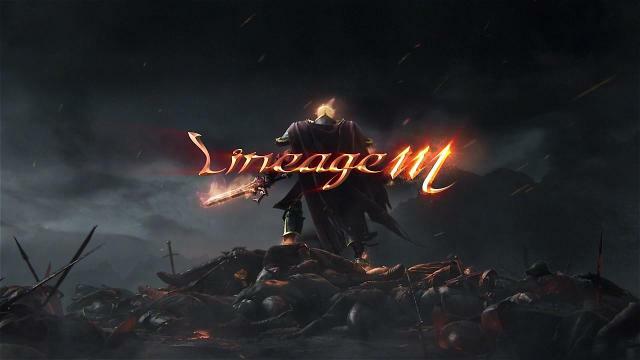 "Lineage M" will be officially available on both Android and iOS on June 21, bringing the original "Lineage" title to the mobile platform after nearly 20 years. "NCsoft used every bit of expertise acquired over the past 19 years since the launch of 'Lineage,'" Kim Taek-heon, the company's chief publishing officer, told reporters in Seoul. The new "Lineage M" features a very high degree of visual resolution, yet brings back the classic "Lineage" game by featuring role-playing scenes. Players can create a character by choosing from a variety of classes and titles, and can create a team with other players and slay monstrous opponents in various environments. The company said it started receiving preorders for its "Lineage M" on May 12, with over 1 million preregistrations tallied in just eight hours. A total of 4 million people have preordered so far, beating the 3.4 million preorder record set by NCsoft's local archrival, Netmarble Games Corp.'s "Lineage 2 Revolution." The launch comes as Netmarble Games successfully debuted on the country's main bourse last week above its initial public offering (IPO) price. Netmarble became the most valuable game publisher on the KOSPI on the back of the global popularity of its latest mobile product, Lineage 2 Revolution. The mobile role-playing game has gained huge success by bringing in more than 100 billion won (US$89.5 million) in revenue for the developer. NCsoft said it has strengthened community functions for its "Lineage M" in which users can voice chat without downloading a separate application. NCsoft said pre-character creation will kick off starting midnight when users can decide the name and title of their characters. Meanwhile, launch dates in global markets, including Japan, have not yet been released, the company said. NCsoft's operating profit for the fourth quarter of last year jumped 35.78 percent thanks to solid sales of its online role-playing games, the company said.